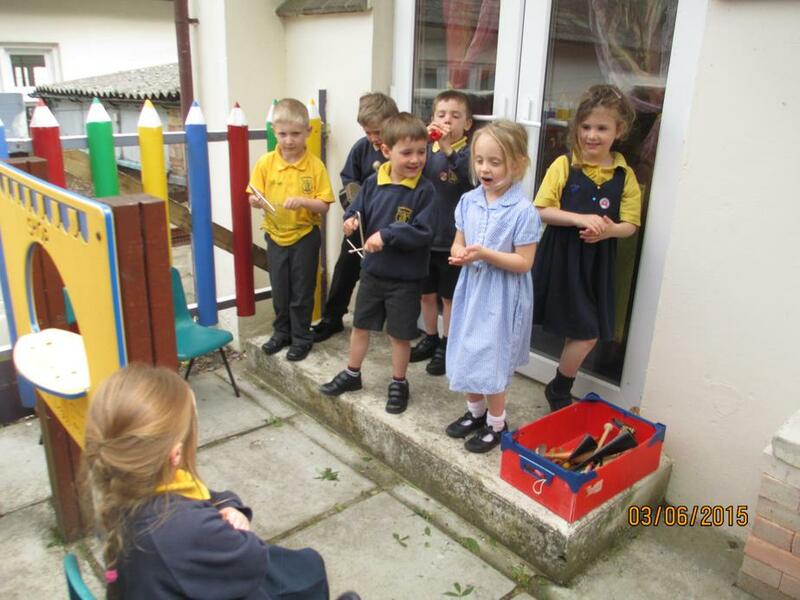 This week we have been enjoying all the lovely sunshine - so much so that Giant Class have mostly been choosing to learn outside! 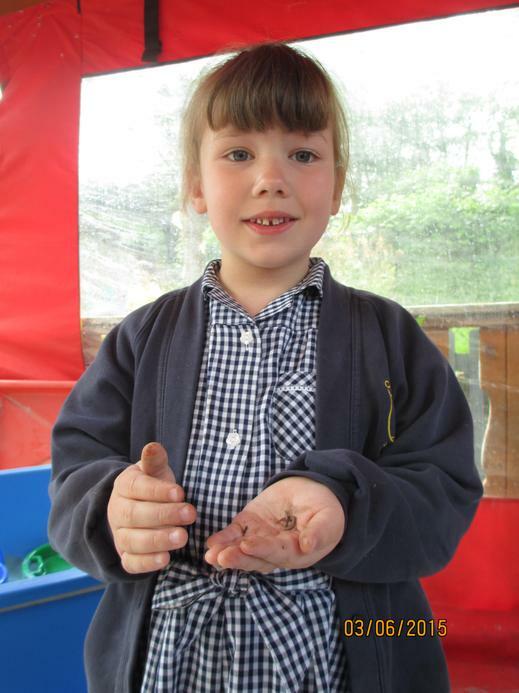 We have started our new topic 'Magical Minibeasts!' this week, Giant Class have all been enjoying looking for bugs in our outdoor area and recording what they found on clipboards. 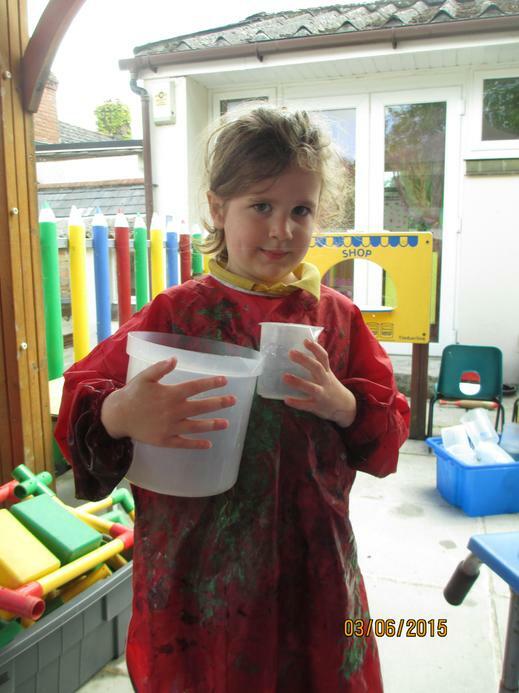 They have also been enjoying using the sand and water trays. 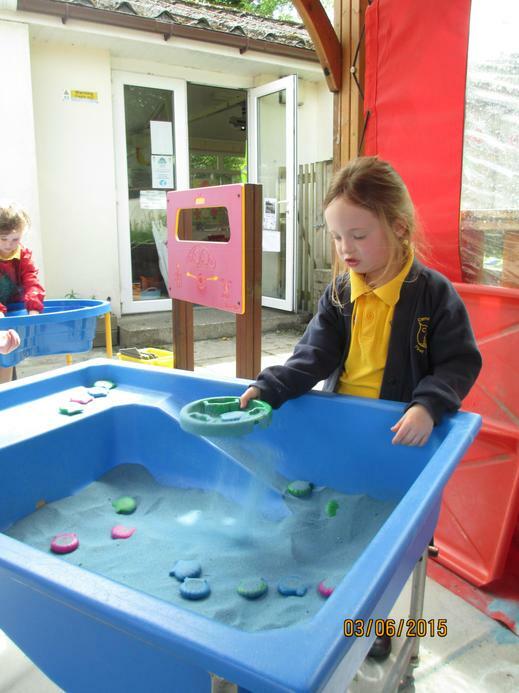 They have enjoying searching for number shells in the sand tray and have been measuring with the capacity equipment in the water tray. In Literacy this week we have been very busy writing about our holidays, writing letters to our friend Miakoda who moved away and writing about the food we would like to eat if we were The Very Hungry Caterpillar! Next week we will be learning more about this story and hopefully learning to tell it as storytellers! In Maths this week we have been learning about halving, the children have loved doing this as it has involved lots of food themed learning! I have been made lots of cakes, pizzas and biscuits...sadly I'm only ever given half! 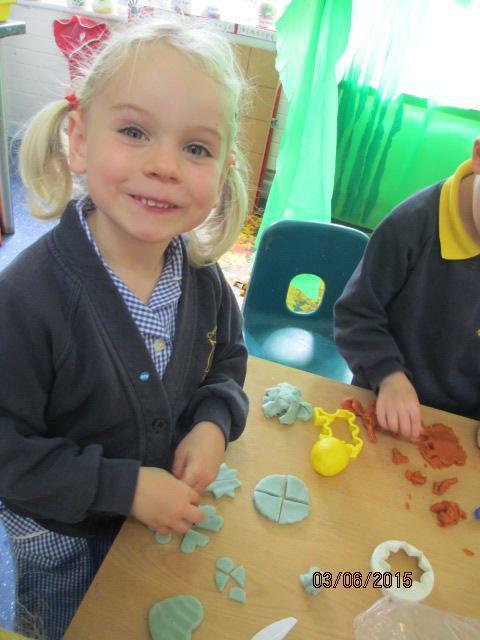 (out of play dough!) I wonder what you could halve at home?! In phonics we have been learning the name of letters by learning a funky monkey alphabet song! Today we had a fun alphabet hunt!